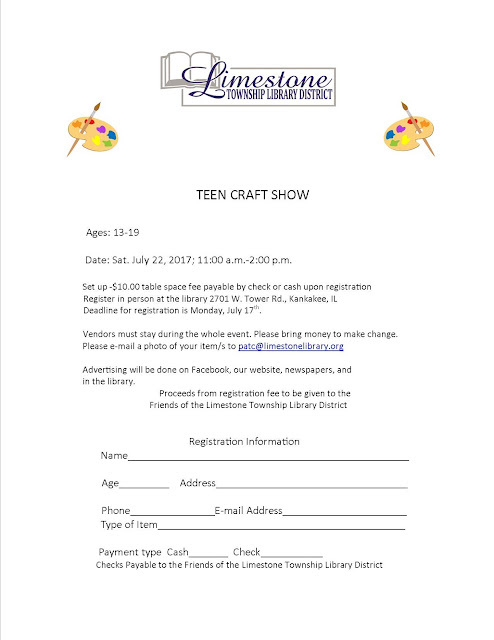 Be a part of our craft fair for teen crafters. 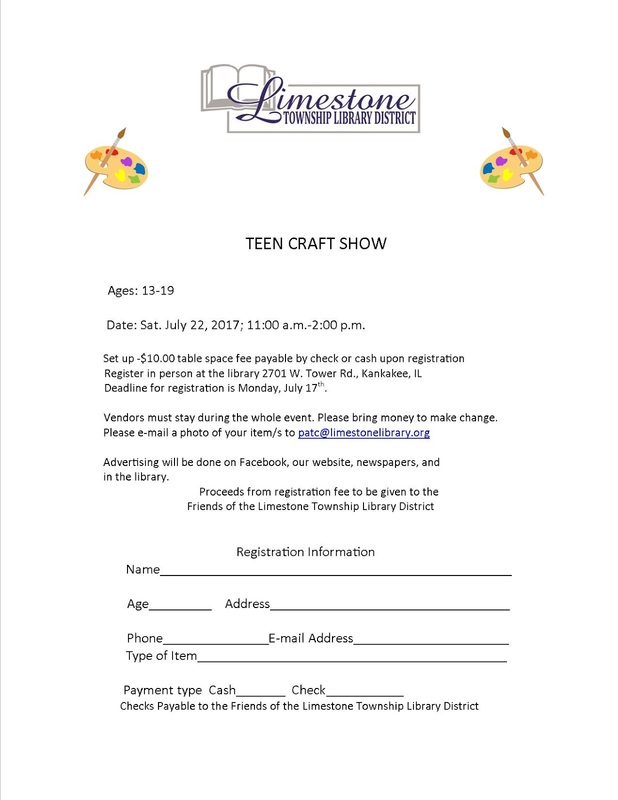 Register to get table space and sell the crafts you make. come to the Library to get an application. You will needs to pay your registration at the time you sign up. If you have any questions, call the Library at 815-939-1696.